Are you a hibernator or an insulator?…..
Are you a hibernator or an insulator? A question asked of me the other day to which I replied – it depends on the day. staying inside with the fire going to keep me warm. outside enjoying the day, wrapped up to keep warm! 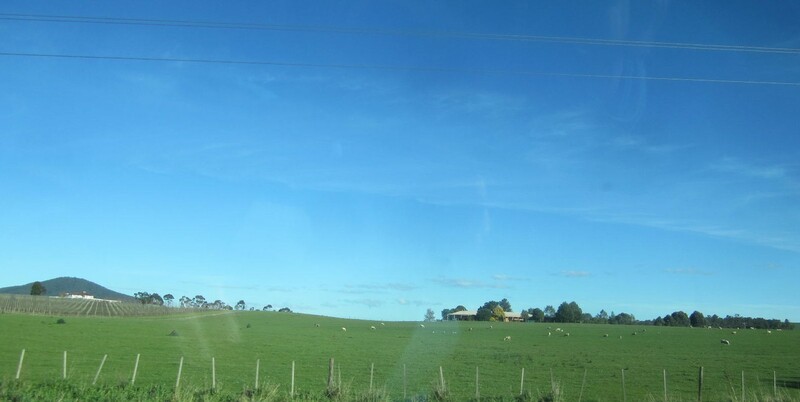 Sunday morning was cold and frosty but oh so sunny with hardly a cloud in the sky – not a chance of showers anywhere in the state. for a short half hour drive. Trivia fact here – MH was originally called Three Chain Road because it was 66 yards (60 m) wide! Some with home paddock sheep to keep the grass down – some bigger establishments without! 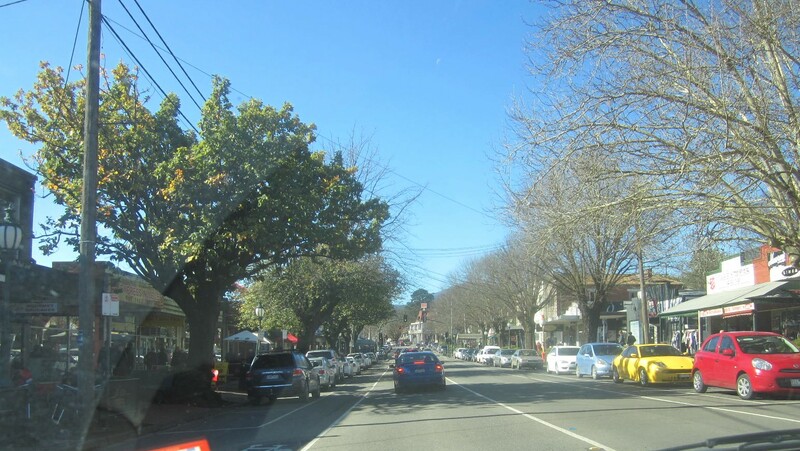 Through the busy little town of Healesville, set in the foothille of the Great Dividing Range, busy on a Sunday same as any day, but see the trees are bare on one side of the street but not the other – must have a different micro climate. More sun more shade?? 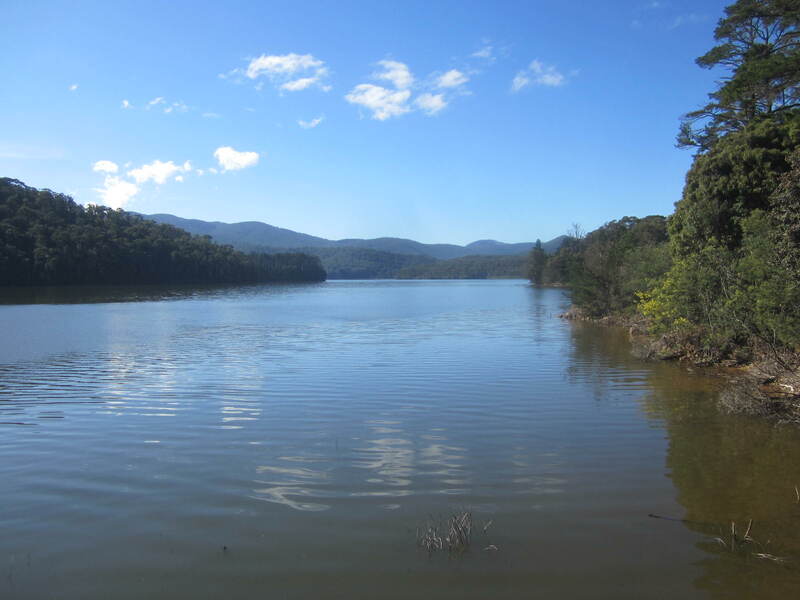 This entry was posted in Daily Life, Victoria and tagged great dividing range, Healesville, hibernator, insulator, maroondah dam, precious days, wineries, yarra valley by Cathy. Bookmark the permalink. I much prefer the cool weather. It is heat which turns me into a sad, soggy (and grumpy) mess. However grey days can be dispiriting too. We have had a couple of very chilly days – but the skies have blazed – and my spirits have too. Sorry EC no sad sorry (grumpy) summer one here, I’m all in favour of warmth although I’ll admit to liking the cold dry sunny winter days – not the others though! Well dearie, it was an outing. 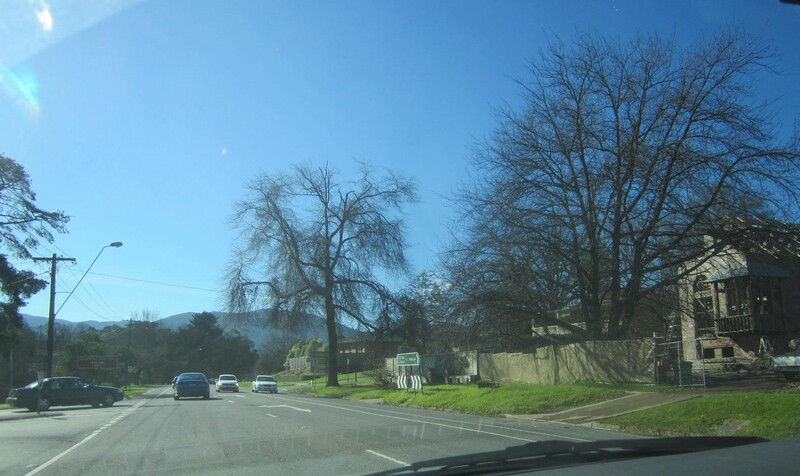 The trees look to be different species, but even so, they are often affected by street lights, with the ones closer to the lights holding their leaves longer. 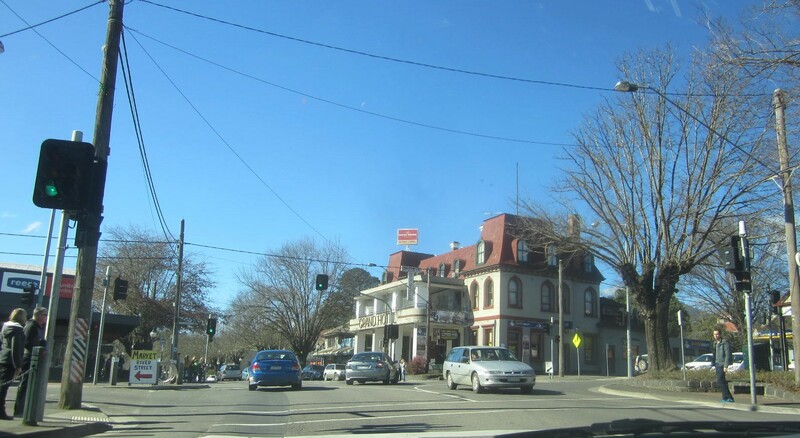 Dandenong Road is or was also 66 yards wide and was called The Great Three Chain Road. 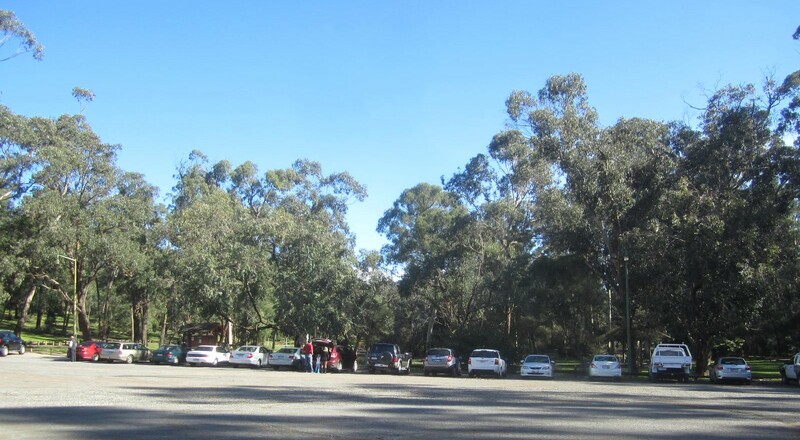 I did wonder if the trees were the same – maybe I’ll ask at the local council offices and see what they say. I do not even want to think about winter yet. The last one was so bad, I’m not looking forward to battling the elements alone again. If it wasn;t for my critters I would be a hibernator for sure. When living in France i had the same pattern as you…cold grey and wet – indoors by the fire…cold sunny and dry…out and about. I cannot tell you how delighted I am to have left the cold behind, though….and while we have rain, torrential at times…it is warm! Our winter is slowly approaching…..I am preparing my cozy, winter cave. Thank you for sharing the beautiful photos! With a beautiful day like that you really had to go out to check the water. lovely day out as it gets colder! Good to keep an eye on the water level in the dam, I think. We used to drive out to a local small airport and watch the planes take off and land. David had a pilot’s license when he was younger.